Questions related to preparation of fee quotations must be submitted in writing to Caroline Portlock at cportlock@willcountyillinois.com by 4:00 p.m. CST on November 16. A summary of all questions received and responses provided will be made available on the Workforce Partners of Metropolitan Chicago website: http://www.workforcepartnersmetrochicago.org no later than November 19. The Workforce Partners of Metropolitan Chicago in partnership with the Metro Economic Growth Alliance of Chicago have produced four reports that provide key data for industry clusters that are significant to the metropolitan Chicago region's economy. The reports provide snapshots of the Biomedical and Life Sciences; Business, Technical and Financial Services; Manufacturing; and Transportation and Logistics industry clusters - focusing on the key strengths of the clusters as well as the opportunities for expansion/development. 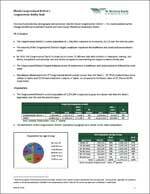 The Workforce Partners have issued the June 2013 Overview of the Economy report. This report provides the most recent economic indicator data for the region – distribution of the region’s jobs on a county and industry basis, unemployment rates for counties and the region, high demand jobs based on 2013 job posting data, anticipated job growth through 2022 by industry, and high growth/high demand occupational groups based on projected growth and openings through 2022. The Workforce Partners have developed reports that provide key demographic and economic information for the Illinois Congressional Districts represented in the metropolitan Chicago Region. Individual reports can be accessed on the Publications - Data Analysis/Policy page. The Workforce Partners of Metropolitan Chicago in cooperation with Chicago Jobs Council have produced a report that presents a summary of public funds available for workforce development activities in the metropolitan Chicago region during fiscal year 2010. The Metropolitan Chicago Region – An Analysis of Public Workforce Development Resources (.pdf) documents nearly $300 million in federal, state, and local funds available for workforce development activities – with 69% of funding being federal. The purpose of preparing the report is to stimulate discussion among workforce development stakeholders on how available funds can be used more effectively and efficiently.